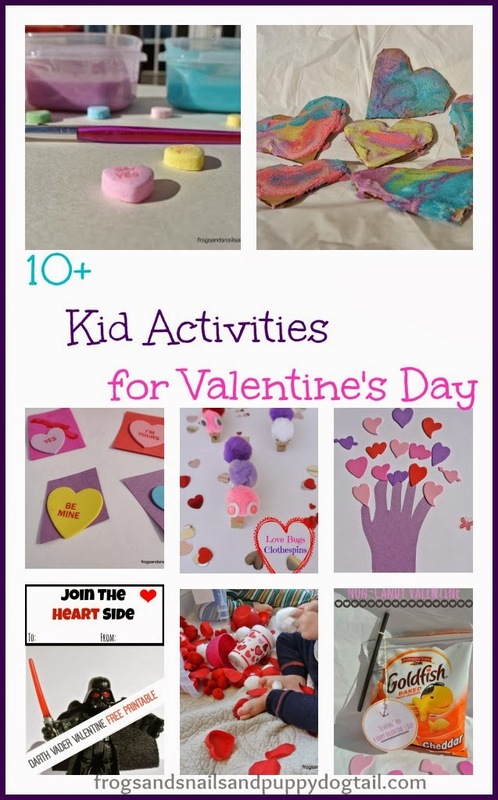 I was trying to decide what to do for my toddler’s Valentine’s Day class party this year and the only thing I knew was that I wanted to try a non candy valentine. 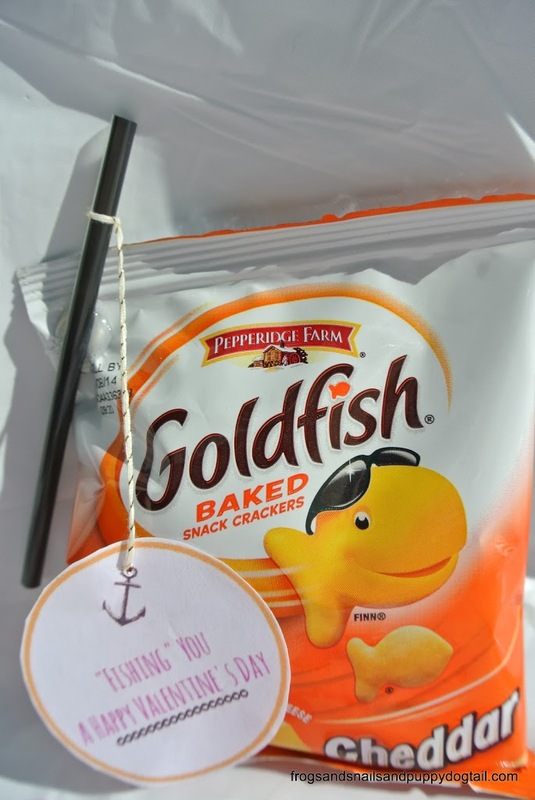 I thought about it a while and finally decided to go with the snack bag of goldfish. Now all I had to do was come up with what it would say. 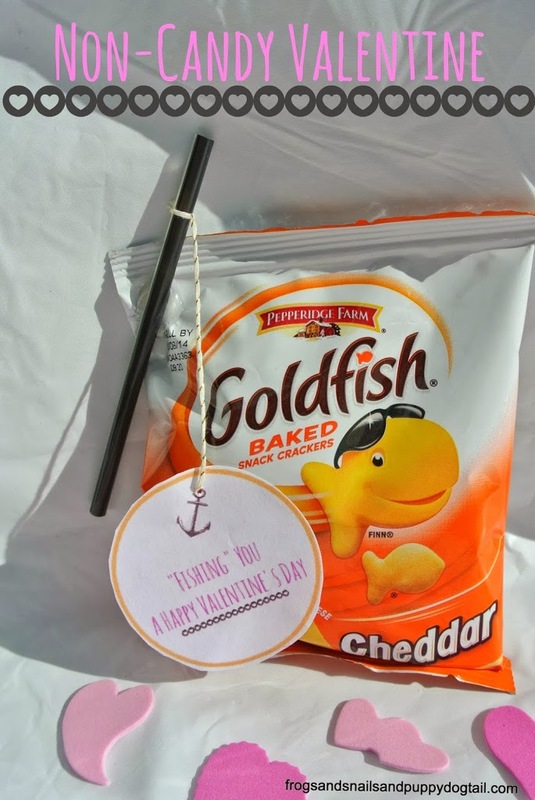 I had a few ideas for this but “Fishing” You a Happy Valentine’s day finally won out. 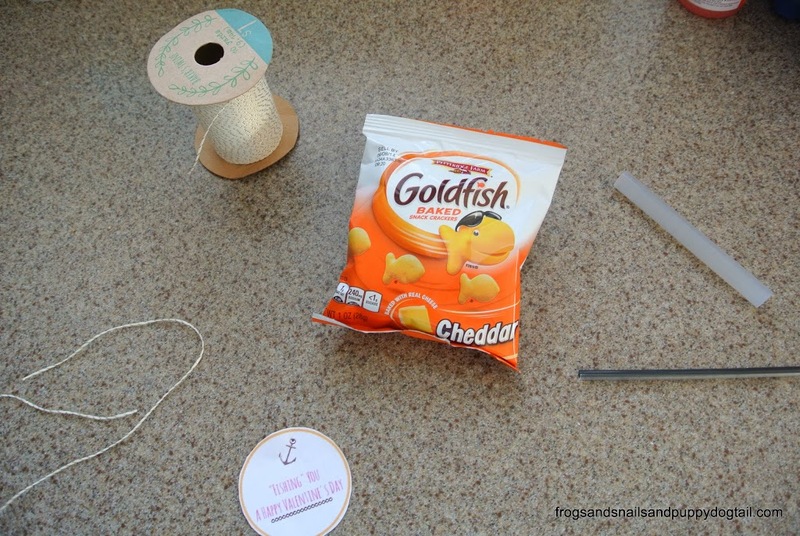 I made a free printable tag, listed at the bottom of the post, to add to the goldfish snack bags. 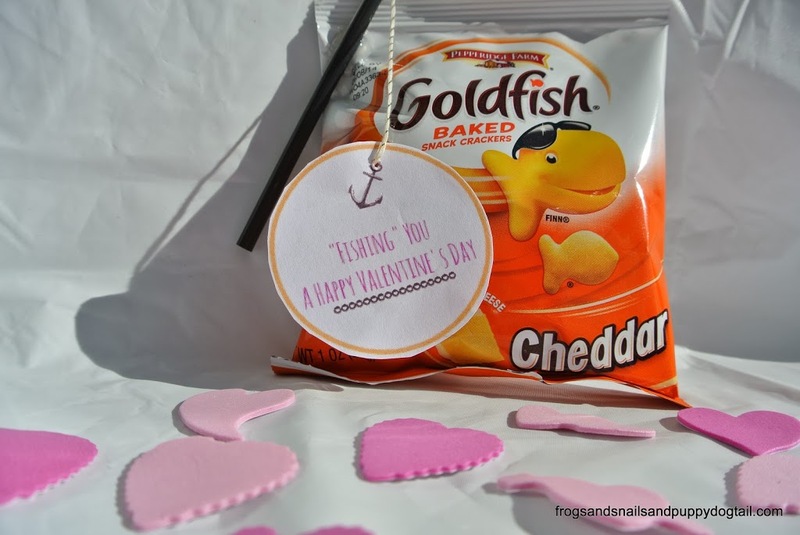 These non candy valentines are easy to make and I hope fun for the kids. Print out the printable tags below. Go ahead and have them cut out. Cut straws in half. Put a hole in the tag for the string. Thread the string in the hole and knot. Wrap the other end of the string to the straw and tie. 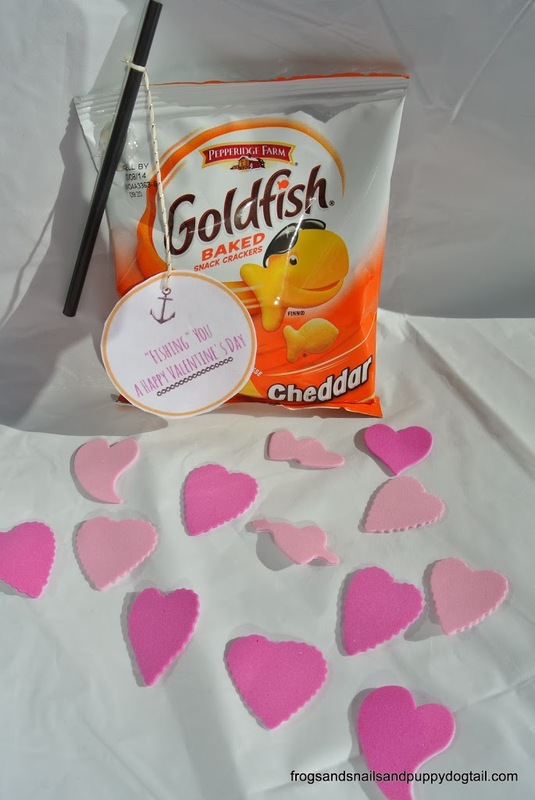 I love simple and easy and these non candy valentines are perfect for most young kids. I know my kids love them and I hope the other kids enjoy them too. Below I have listed the tags I made by color for you to download and print if you wish. Please only use these for yourself. Do not copy and pass off as your own or sell the image. Thank you. 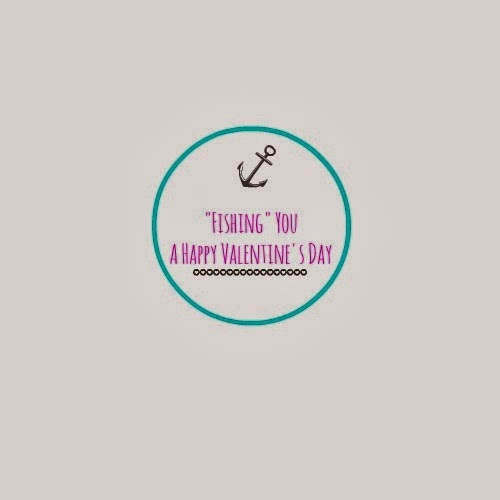 All of my printables are intended for personal use (you print for the use of gift tags). Do not download my images to sell or reuse in an images of your own.